Yes, we went to Universal about a month ago. But there isn't much exciting current things to post and these pictures were itching to be shared. 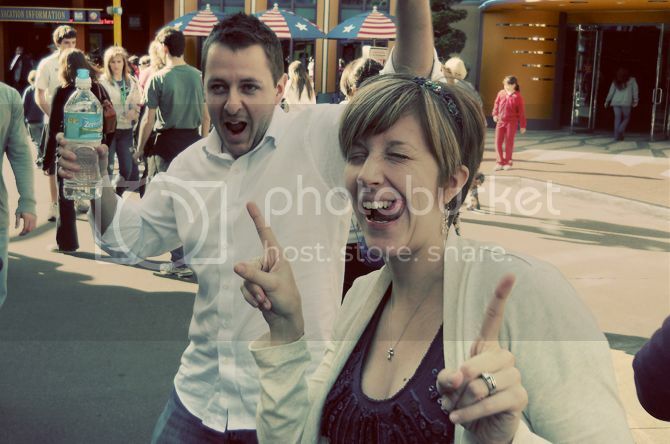 We had a blast at Universal and experienced a wiiiiide range of things. Sometimes, we pressed a button a zillion times and clapped for ourselves every time. Sometimes we did really cool dances as we walked down the street. 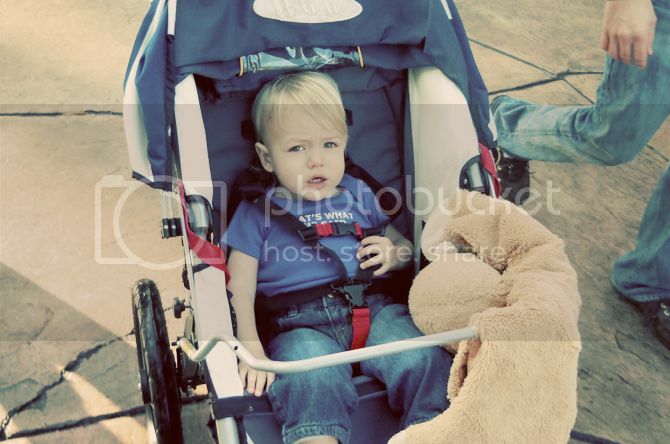 Sometimes we cried because our parents made us sit in the stroller, and not even our monkey could console us. 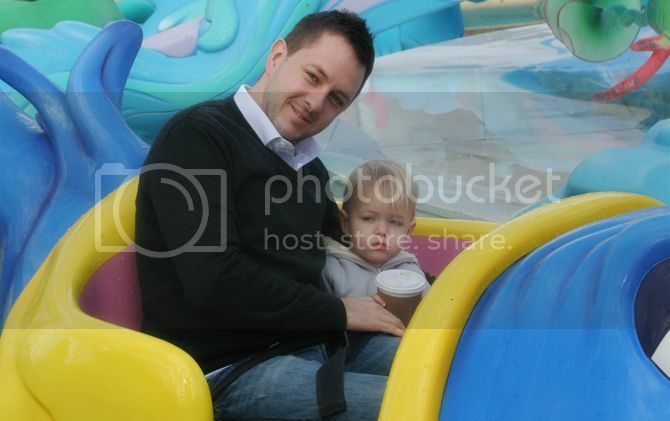 Sometimes we rode in fishes with our dad and we thought it was lame and just wanted to drink our coffee. 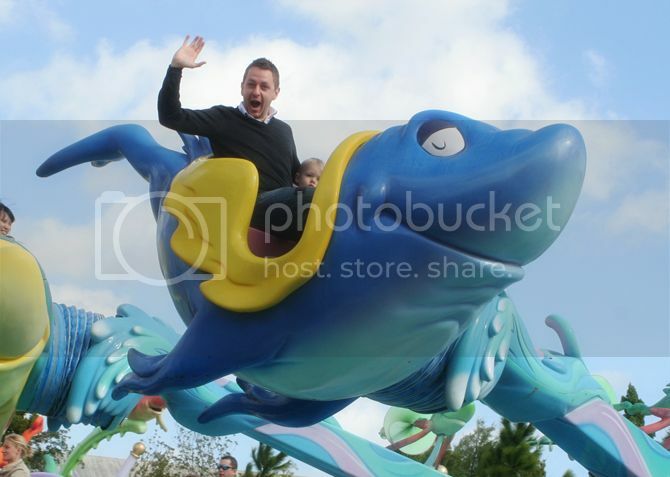 And sometimes dad thought the fish ride was AWESOME! And most importantly, sometimes we got crimefighting tips from Wolverine. I can't even pick a favorite. 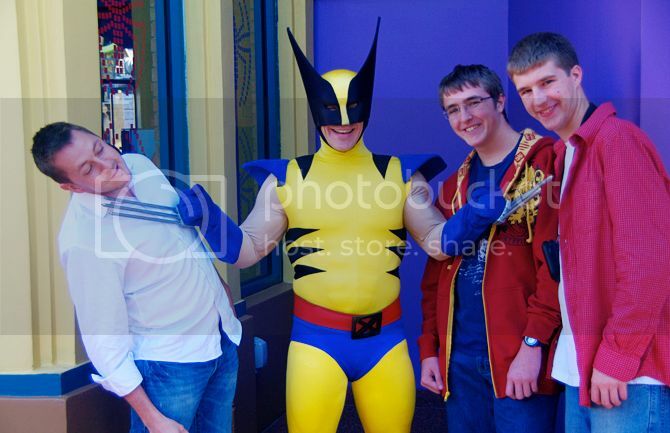 Zach's is Wolverine, obviously. hahaha hilarious! also, we are on the same wavelength: I just posted something called "sometimes"
he is totally rolling his eyes in the coffee picture. pshhh, you need to spank him for that. Clap, clap for the Pettit-Scotts enjoying their vacay! Jealous, but so cute! How was touring an amusement park while pregnant?